NO SPOILERS!! Don't worry there are no spoilers in this post just a good old movie review. 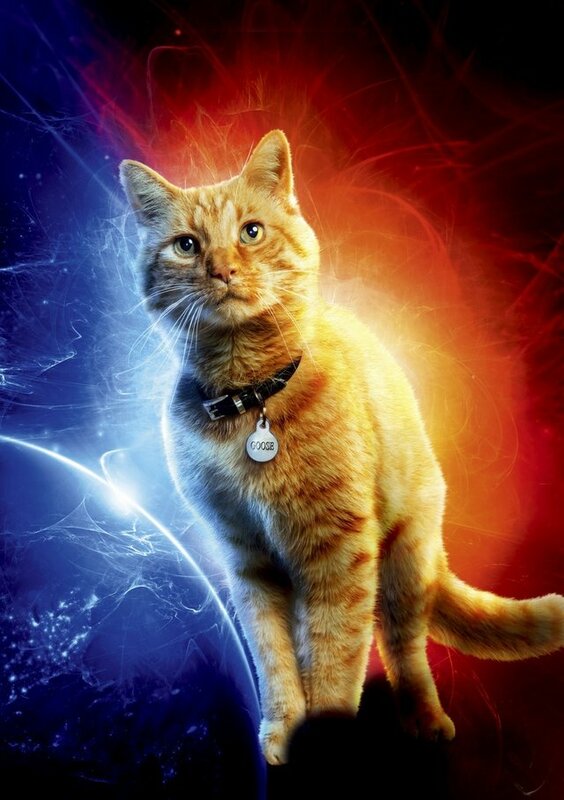 First let's talk about Captain Marvel the Marvel Universe comics character because I think that is impotant. 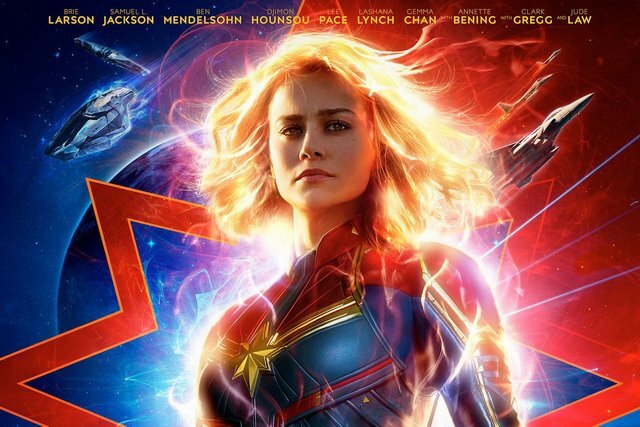 Captain Marvel is the name of several (yes you read that right, several) fictional superheroes appearing in American comic books published by Marvel Comics. Most of these versions exist in Marvel's main shared universe, known as the Marvel Universe, so if you want to read more about the history I suggest you go to https://en.wikipedia.org/wiki/Captain_Marvel_(Marvel_Comics). As you can see from the picture above there are several well known actors that star in this movie so no worries about the cast. Last night I went and saw the movie with my brother, as a fan of both Marvel and DC I have to say I was not disappointed with the latest in what has been a long line of Marvel movies. This is a action packed, sci-fi fantasy, superhero origin movie that ties well into Marvel's movie franchise so if you liked any of the Iron Man, Thor, Captain America or The Avengers movies this will be right up your street. The Kree, Agent Coulson and of course Nick Fury and a few new characters who I found to be a nice and unexpected surprise like Goouse The Cat. The movie gives us some long awaited answers to questions like, how did Fury lose his eye?, how did the Tesseract come to be on Earth?, why did Fury chose the name "The Avengers initiative"? but like I said, no spoilers, to finde out go and see the movie :). I have to say that im very happy that Captain Marvel is a woman instead of another dude in this franchise. In conclusion I am happy with the movie, the cast and the expiriance. A very fun way to spend 2 hours of my day and I hope this post encourages you to go see it. As for all comicbook fans out there this is a must see movie, just go enjoy and have fun like I did :). Yep, I agree :D It was really fun and it was nice to see some returning characters, as well, and I like Carol a lot !!! Yep me too, the actress and the character, she's very cool :)! Great review, movie seems to be a good one. IT IS! I have to admit I didn't expect it but it's great :). I loved the movie! Already saw it twice, it did not dissapoint. That's what I said :). Thank you for the vote and the comment. Allways happy to see this comment :). Thank you @c-squared! You have my vote. We’re heading to see it tomorrow. Thanks for the no spoiler review. Sure, it's my pleasure :). I know you will have fun tomorrow, hope you get some great seats :). The movie was great and we got to enjoy it in a new VMax cinema. Big seats with plenty of legroom and awesome ATMOS sound. Told you the movie is great, im glad you had a good time :). Recently saw the movie. Lots of fun, you won't regret going to see it. I'd put it somewhere between Ant-Man and the first Iron Man in terms of quality. The ending is a big standout, since there's no laser shooting up into the air, a sky portal, or a CGI dumb giant monster to fight. It's well paced, doesn't waste your time, and there's a Stan Lee cameo in it, with a wink to the camera. The movie is non-stop smiling at you. It's just joyous. Even when it tries to be a bit more dramatic, it still has a big grin on its face, and that's just charming. Though, it seems in some place like it tries to shoehorn in continuity that didn't really need to be there. Coulson has no reason to be there, neither do the two Kree you mentioned. As for the Tesseract, we already knew how it got to Earth. It's been there for centuries. It was buried in some old norse ruins, dug up by Hydra, lost at sea and then somehow recovered by Shield. Turns out they recovered it via this movie. Also, Captain Marvel has been a woman for many, many decades in continuity. Making her a man would have been weird. I hope the movie does well. But if it turns out they need to boot Brie, oh boy can they do a proper Rogue now. Than you for your comment @unacomn :). but I liked the Coulson touch, showes he was green once :). 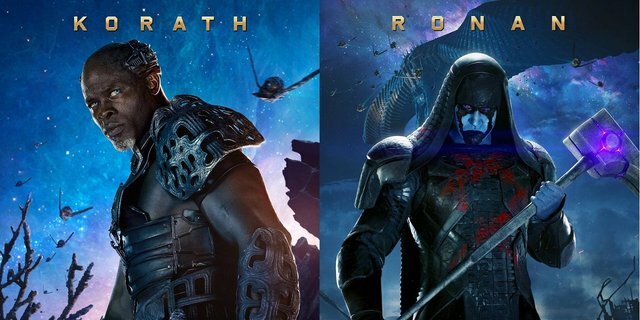 As for the Kree I mentioned that was the continuity, it's Marvel Universe they have to connect it somehow if you know what I mean. 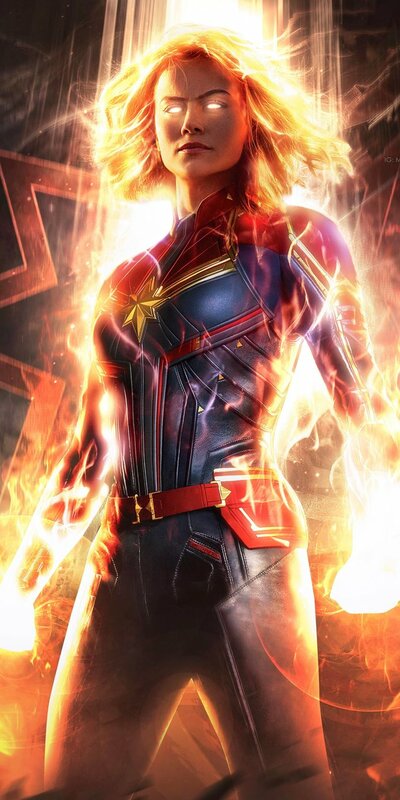 I am a fan so I know that Captain Mavel has been a female character for a very long time, but not allways, so I agree with you, it would be wierd if she was a he. Thank you @arcange for the upvote and the mention. You have my witness vote :). Thank you for your support and witness vote @nagasonic, really appreciated! @nagasonic, thank you for supporting @steemitboard as a witness.